There is a Youtube song video where Ecuadorian immigrants sing to our home country, and every time, every single time that I listen to it, I cry. I think often about that inmense blue sky that once covered me and the people that I love that live there. Both things (the place and the people) are an integral part of me. But, my kids don’t cry whenever I play the song. In fact, they actually don’t understand why mama is crying. And that is okay. However, I still want to make sure that they learn to be familiar with Ecuador. Hopefully, doing so, they feel a special connection and appreciation with their Ecuadorian heritage. Many times I have thought about quitting my job and working for an international airline so I can send my kids every month to see abuelita. Unfortunately, for the crazy me and luckily for my family, reality hits in fast and the idea stays as what it is, just a crazy idea. I think traveling is the best way to teach my children about Ecuadorian heritage. It provides the opportunity to feel the country with all your senses. So, better start saving! If you are planning to travel to Ecuador I recommend these 12 places in Ecuador to visit. Make sure to stop by in Guayaquil (my hometown) and gorgeous Quito. And don’t forget to read these recommendations that are good to know before traveling to Ecuador. I love playing music at home. It is a great resource to share my heritage through the rhythms and melodies that I grew up with. (Plus, it helps them with their Spanish skills!) I usually play the favorite bands of my youth such as Tranzas, Verde70, Juan Fernando Velasco, and many others. Although I am not a super fan of the traditional music (pasacalle, yarabí, etc,) I still expose them to my kids so they can learn about local beautiful instruments and the rich connection that they have with the history of the country. We don’t celebrate every single one but I make sure my kids are aware of the cultural events and national holidays of Ecuador. It is also fun to incorporate some of the traditions to our family festivities. For example, every New Year’s Eve, we burn our “un viejo” at midnight! Technology facilitates globalization and provides so many options for learning. Because of my children’s age, we only watch short YouTube clips about Ecuador. They are always fascinated with the animals of the Galapagos and the Amazon. I am on the hunt for children books that feature the culture and folklore of my home country. It is a difficult find since Ecuador is such a diverse country, and there is not a large selection for local children books. However, Edna Iturralde, an Ecuadorian author does an outstanding job bringing information of the ethnicity and history of the country in engaging and exciting stories for children. Verde fue mi selva: This popular book is a set of fascinating stories for children that provides an accurate portrayal of the Amazon indigenous groups of Ecuador and their way of life. It is a “Skipping Stones Honor Award Winner” for ethnic and intercultural diversity in the United States. Un día más y otras historias: a touching book about the importance to protect endangered animals! The stories create awareness about those animals of South America. Caminantes del sol: The exciting story of this book develops in the Andes mountains during the Inca empire. It is an excellent resource for children to learn and understand the Inca customs and traditions. Llevo 3000 años pintando: This book is about the life of Oswaldo Guayasamín (a famous Ecuadorian painter) and how his indigenous roots inspired his artwork. Cuentos del Yasuní: It has been hard to get this gem in the Unites States but, it is definitely on my “things to buy when I visit Ecuador” list. 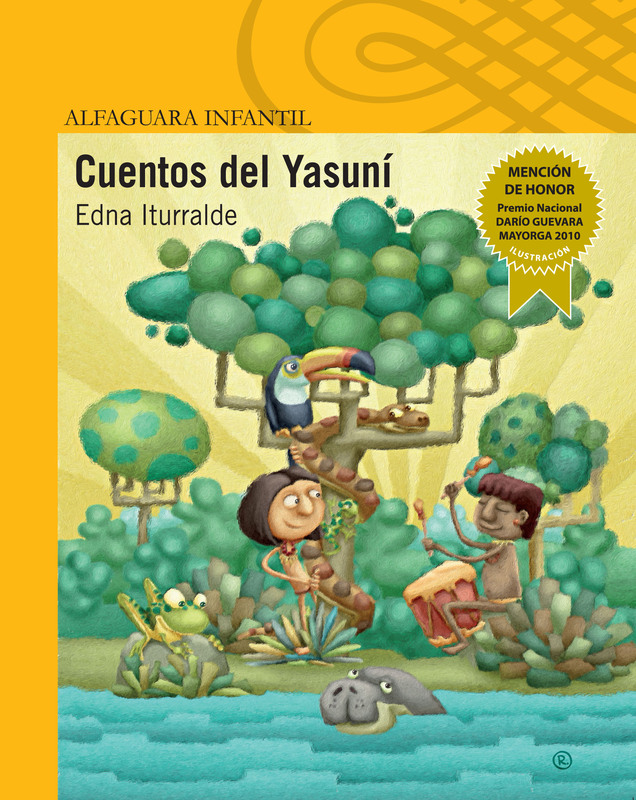 This book brings up the magic and beautiful area of Yasuní and creates awareness of its importance for the environment. Y su corazón escapó para convertirse en pájaro: The book is about the history of Ecuadorians of African descent. The set of stories are tender and at the same time, fascinating and fun. How Do You Teach Heritage To Your Children? thank you for sharing these books, this will help me to expand my book collection in my class for my students to read. I am extremely grateful! Can I just tell you thank you so much! This books will be great to add to teach my son more about Ecuador & even more it’s in spanish, I have teach him our culture more.Love your blog, it’s great. Enjoy all your tips,your experiences that we face as parents and being bilingual Hispanic. From nyc sending many blessings to you and your family. Thanks for sharing that reading list, they look like amazing reads. I love all of these, it is a great list to share not only with children of Ecuadorian background, but also to all Latino children in the US. How many beautiful things we can share about our common Hispanic Heritage. Thanks for sharing!